Sustainable development consists of balancing local and global efforts to meet basic human needs without destroying or degrading the natural environment. 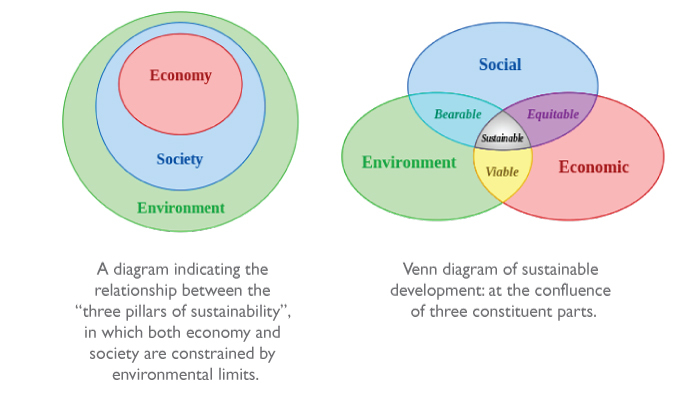 Sustainability can also be defined as a socio-ecological process characterized by the pursuit of a common ideal. An ideal is by definition unattainable in a given time/space but endlessly approachable and it is this endless pursuit that forms a sustainable system in the process. Healthy ecosystems and environments are necessary to the survival of humans and other organisms. Ways of reducing negative human impact are environmentally-friendly chemical engineering, environmental resources management and environmental protection. 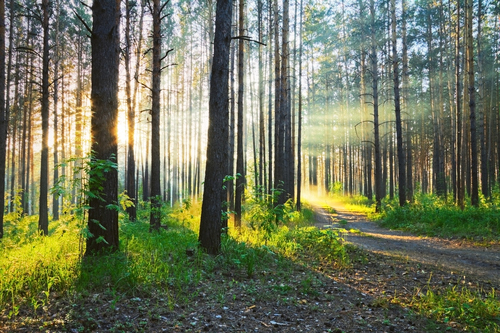 Information is gained from green chemistry, earth science, environmental science and conservation biology. Ecological economics studies the fields of academic research that aim to address human economies and natural ecosystems. “The term ‘sustainability’ should be viewed as humanity’s target goal of human-ecosystem equilibrium (homeostasis), while ‘sustainable development’ refers to the holistic approach and temporal processes that lead us to the end point of sustainability. Despite the increased popularity of the use of the term “sustainability”, the possibility that human societies will achieve environmental sustainability has been, and continues to be, questioned—in light of environmental degradation, climate change, over consumption, population growth and societies’ pursuit of unlimited economic growth in a closed system. The question then becomes how to represent the relationship between those needs and the environment.